Ascend at 95 makes it easier than ever to take advantage of the exciting surroundings in West Melbourne. Interstate 95 shortens your commute to Orlando and Route 192 takes you straight to Indian River as well as Melbourne Beach. Closer to your apartment, Ascend at 95 places you minutes from all the shopping, dining and entertainment at Hammock Landing, where you’ll find everything from Target and Publix to AMC West Melbourne 12. Foodies love the area’s restaurant selection, which includes LongHorn Steakhouse, New Orleans-style seafood at Crafty Crab and the area’s best sushi at Irashiai 2. If you prefer to spend time closer to nature, you can find all your outdoor equipment needs just minutes away at Bass Pro Shops, or if live sports is more your speed, you’ll love cheering on the FIT Panthers at every home game. 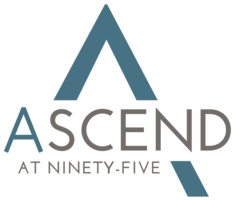 Learn more when you contact Ascend at 95 today.